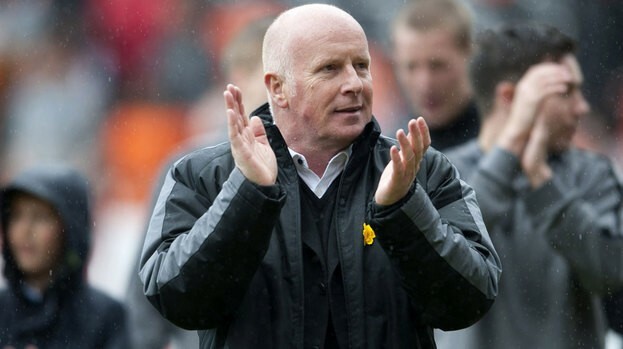 Dundee United Manager Peter Houston has left the club by mutual consent it has been confirmed this morning. The former Scotland Assistant Manager confirmed only last month that he would see out his contract at Tannadice after speculation he was to take over from Michael Appleton at Blackpool. The fifty-four year old has had an impecable record since taking over in 2009 after winning the Scottish Cup during his tenure, and leading the club into the Europa League on a number of occasions. Houston has been in charge for 148 games, and it is now reported he could be set to take the reigns at Bloomfield Road after being free to speak to all parties interested due to todays developments.